Hummingbirds are messengers of hope. 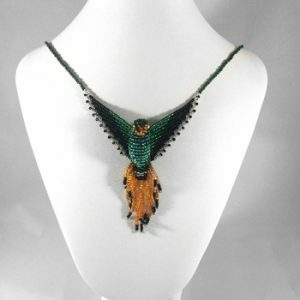 Your gorgeous 3D beaded hummingbird necklace has been personally handcrafted. Supplies are handpicked from the leading sources on earth. Designed using the highest quality glass beads. Packaged in a special box with silver gift tie. You will wear magic every day with this gorgeous 3D hummingbird beaded pendant necklace. 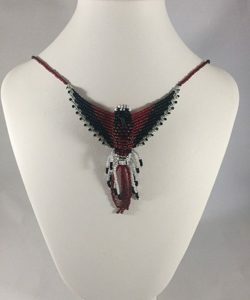 Designed with the highest quality glass seed beads, the Violet Sabrewing Hummingbird beaded pendant necklace features a strong magnetic clasp so that it is easy to put on without any assistance but strong enough so that you do not have to worry that it will fall off while you are wearing it. When you are not actually wearing your bead hummingbird necklace it could be displayed as wall art or hung over a mirror to add beauty and magic to a room. Violet Sabrewing Hummingbirds are found Southern Mexico and Costa Rica. As a totem or spirit animal, the hummingbird teaches us to be conscious of the wonder of being alive. Hummingbirds are messengers of hope. They open our hearts to joy, laughter, playfulness, loyalty and affection. While they delicately dance through sunbeams and float among the flowers, the wings of the hummingbird create the pattern of the infinity symbol. Hummingbirds symbolize strength, courage and independence. SIZE – The length of the entire piece is approximately 12-3/4 inches. The hummingbird’s body from the top of its head to the tip of its tail is approximately 3-1/4 inches. The bird’s wingspan is approximately 3 1/2 inches. 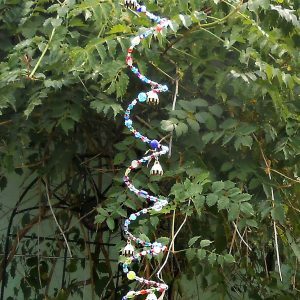 Each bead is sewn through several times to give strength to every piece of jewelry. 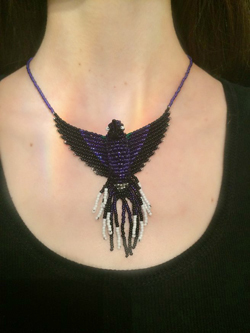 The beaded bird necklaces are not toys and are not recommended for children under 13. 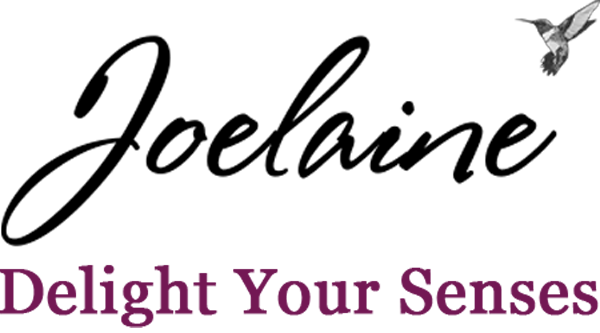 COLOR – Choose the color shown or have one customized for you. Because they are made after you order them, custom orders will take a little longer to ship. Contact us for CUSTOM colors. All products at Joelaine are handcrafted in a pet friendly and completely smoke free studio. Created by Ultimate Architect. Copyright © 2019 Joelaine.